Last Chance at our Early Bird rates – they end this Friday, April 13th. The National Council of State Boards of Nursing recently launched a new version of the NLC that requires federal finger-prints and background checks easing the way for reduced “red-tape” for travel nurses. The AMN Healthcare and The Center for Advancement of Healthcare Professionals collaborated with B.E. Smith on a 2017 online survey of CNO’s perception of the shortage of nursing and the impact on patient care and staff moral. Empowering and Involving front line nurses can create innovative solutions, higher quality outcomes and improved culture of safety for the organization. NW Washington met April 6th with new chair Cindy Hollinsworth! 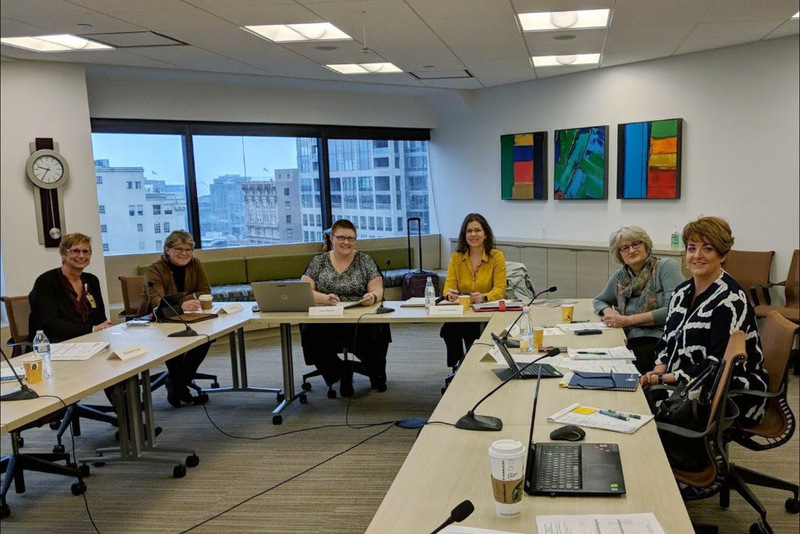 The Development Commission Co-Chairs are Mady Murrey (CNO, Seattle Children’s Hospital) and Katie Beam (Director, Legacy Emanuel). Together with the Commission members, they focus on education and membership. This includes a sub-committee working on conference planning. The Leadership Commission Co-Chairs are Kelly Espinoza (CNO, Legacy Salmon Creek) and Cindi Warburton (FNP, Providence Medical Group). The focus of this commission is healthcare policy, representing both Oregon and Washington, and nursing practice.